Why are Bad Breath Testers Important? Bad breath is a common problem but some do not even know they have it. or how to check, so we are going to look at why bad breath testers are important. The majority of people do not fully comprehend what halitosis or bad breath really is. Perhaps, they may have heard of it, but in the real sense lack factual information about what it is and the reason why it occurs. Bad breath should not be regarded as a disease but rather as a problem that affects a number of people. Millions of people still don’t take it with seriousness, and really don’t feel if the condition has become an embarrassment to themselves and even to other people. Should you not want to be a victim of circumstances for having bad breath, then it is of great importance to know why bad breath testers are important. A bad breath tester will help you to determine if you have developed the bad breath condition and this will help you stop being the topic of discussion in town. They eventually find it hard and tighten the muscles of their faces when your breath reaches their nostril simply because it is unpleasant.Bad breath testers will enable you to find out if you are already a victim. It is important to accept the fact that bad breath is real and in as much as you may have confidence that you don’t have it, there is a need for you to have a bad breath tester. This is because many people suffer from bad breath but they do not know if they really do.This is because they cannot possibly feel the bad smell of their breath but really have to get the help of someone, particularly their close friends, so as to learn if they really have halitosis. You really have to be told on to their face that you have a problem with your dental hygiene since it gets hard to slightly smell your bad breath through your own nose.As it is, we can not smell our own breaths. The good thing about bad breath testers is that you really don’t have to disturb the peace of someone by asking them to tell you if you have a bad breath, as this can be so embarrassing at times. It is possible to test your breath at home such that when you learn that you are suffering from halitosis( see my other post) you can take the necessary precautions that will help you solve your problems. Most people will not feel comfortable enough to tell you that there is something unusual about your breath-Take a situation whereby all the people you meet and interact with feel too uneasy or embarrassed to inform you of your bad breath. Unfortunately, the people you will meet for the first time that you know very little about will gradually distance themselves from you. For that reason, if you don’t want to be a victim of such circumstances as being emotionally and psychologically down because everybody appears to distance themselves from you, there is need for you to consider bad breath testers as important tools in your life. For a case where the condition is acute, there are different precautions or remedies that you can take while you are at home to prevent bad breath as well as different products that you can buy over the counter and apply to yourself as prescribed so as to cure halitosis. If the condition persists even after putting into practice the at home remedies, consult your medical professional since there might be something wrong with your medical condition. It is possible that you have some infections or even some serious medical condition like diabetes, kidney problems, among others, which can be the reason for your bad breath. 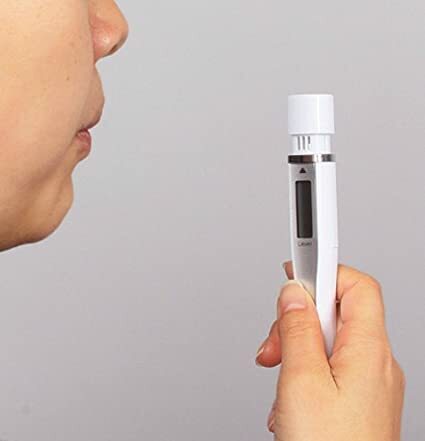 The first steps to fighting bad breath is testing your breath, and you do not need fancy expensive gadgets to do it, you can use simple easy to use TANITA slim white HC-212S-WH new bad breath tester from Amazon for accurate reading. I really like the home page. Lots of good images and links to click on. I did not know that some of the testers were out there, I actually learned something from this website which is always a positive. Keep up the good work and follow up with new ideas as they become available. Thanks Tyles,bad breath testers are great as it`s not easy or comfortable asking someone if you have bad breath.Thanks for stopping by. Hahaha, yeah this definitely beats awkwardly having to ask someone if your breath smells bad. I didn’t know a device like this even existed! I used to worry a lot about how my breath smelt, especially after eating. Although I brush my teeth twice a day or more, it still seems like an incredibly convenient device to have around just for the times where you’re not 100 percent sure. Thanks again and your content is very easy to read! Fantastic website. addressing a subject which most people who may suffer from this are really shy and will not be able to approach evan a doctor about so this is a fantastic idea. Really interesting information. I didn’t realize that bad breath testers were available. Great to learn about this – certainly better than offending others with bad breath! Achieving fresh breath should not be hard and im sure we sometimes have bad breath because we do not even realize we have a proplem in the first place, but with bad breath testers,you have answers at your fingertips. I have been afraid of cavity and periodontitis. But I have never thought about the bad breath. I think that’s because I can never smell my own bad breath just like you said in your blog! I would love to know more about the tester. Is there any product reviews? Which brand or model do you think is the best? Great to be back on your site again Roamy. As you know, I work with a colleague who has got a bad breath like all day long. Even when I try to put it nicely and let her know, she doesn’t take the matter seriously and it bothers me because we see clients everyday. Her birthday is coming up. Guess what? I think this bad breath tester is going to help her (and poor us) improve her oral health once she sees the results in black and white. I didn’t know a product like this existed. Now there’s something out there to help people with this problem. Even I use to become self-conscious about having bad breath especially when I was around other people when I used to work in the corporate job. This would be an item I would like to use. Thanks Rosa,bad breath testers are quite cheap and will help in you will know when you should get a quick mouth wash. I simply can’t stand trying to talk to someone with bad breath as it makes me gag very quickly and I do find it difficult to tell that person. It’s embarrassing as I have to quickly excuse myself from talking to that person before I throw up lol. Fortunately, I haven’t come across anybody with bad breath for some time. If I do and if I’m likely to see that person on a regular basis, I would be happy to buy this item as a gift to them, now that I’m aware that they are available. Thank you for sharing this amazing article. All that was said is so true. I will definitely be getting one for myself. I will also be recommending this to some friends. The bad breath tester you recommended on Amazon, is that the best out there? Is this tester for one time use only? if not, what is the expected lifetime? 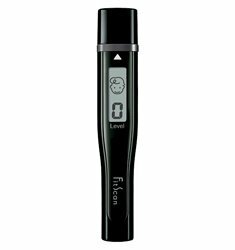 It will be hard to honestly say how long a bad breath tester will last.Having said that,all things we use, if we do not take good care of them, it`s easy to break or lose them.